The conference venue is situated in the picturesque garden city of Toowoomba, located at the edge of the Great Dividing Range in Queensland, Australia. 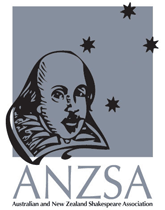 ANZSA 2014 will be held in conjunction with the 11th annual Shakespeare-in-the-Park Festival. Conference registration will include attendance at the opening show of the main stage performance of Much Ado about Nothing, and for participation in selected other events at the Festival.